...to a bright and sunny spectacle that you just can't miss! 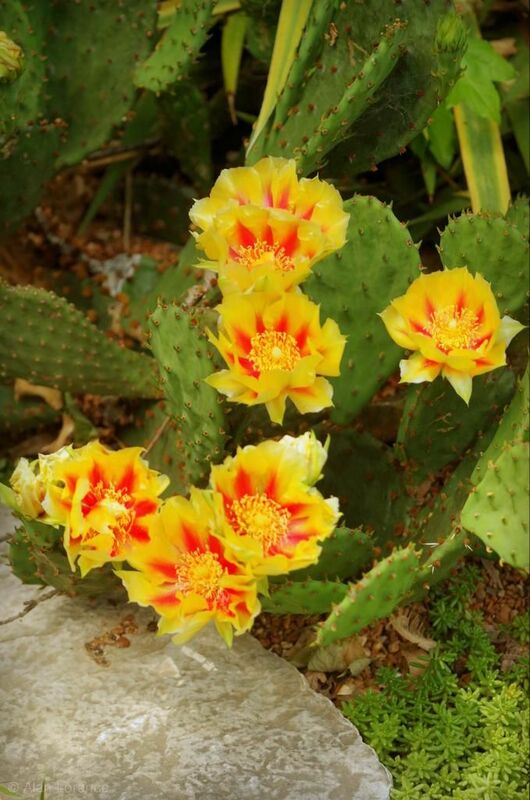 Opuntia macrorhiza provides the bulk of the show, as it's a vigorous species that can handle wet winters -- so thrives here in St. Louis. The yellow blooms have a fair bit of reddish-orange accents in them -- so nice! 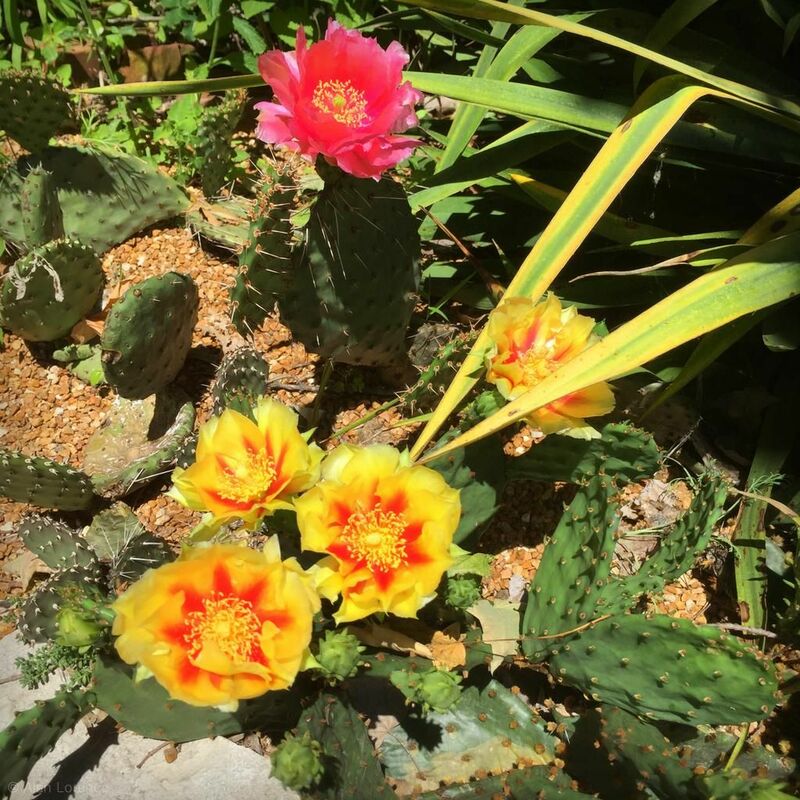 Maybe it's the Opuntia rhodantha hybrid ‘Hanksville Rose’? I don't think so because of the spines. 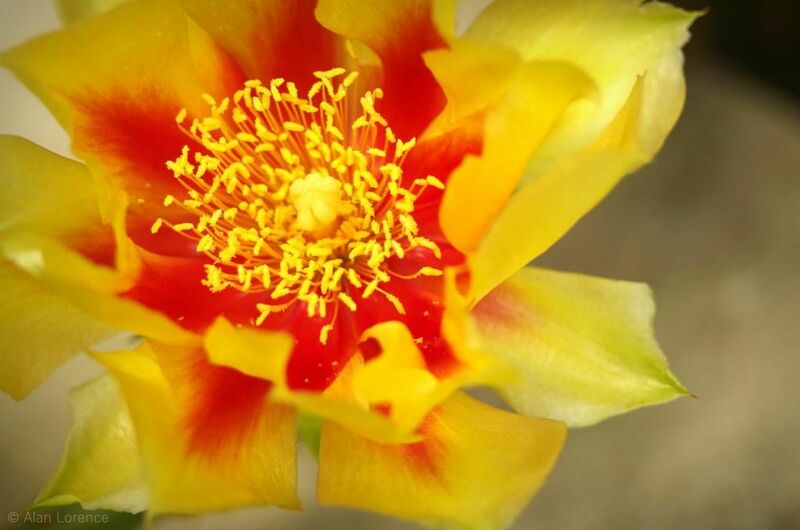 It could also be Opuntia basilaris x humifusa or Opuntia phaeacantha x pinkavae ‘Nambe Sunrise’. Anybody know? The blooms do not last long, so we need to enjoy while we can! Beautiful! So fun to see cactus growing in the Midwest. We just planted a small bed this year - hopefully our results will match yours! So nice! Really vibrant colours contrasting with the very spiny leaves (and demeanour of the plant). ooh, love the orange/yellow machoriza. I can't seem to hold on to opuntias. I bring them home then give them away. Maybe my garden is too small to find the right (safest) spot. Very pretty. The frilliness of cactus blooms contrasting with the formidable plant is always interesting. Love those vibrant colors! They are brilliant, and it's funny to see them growing next to lawn. I'm happy you get blooms on them in your climate. Luisa knows opuntias--Crow And Raven. Can't get much better than that. Love the colors. 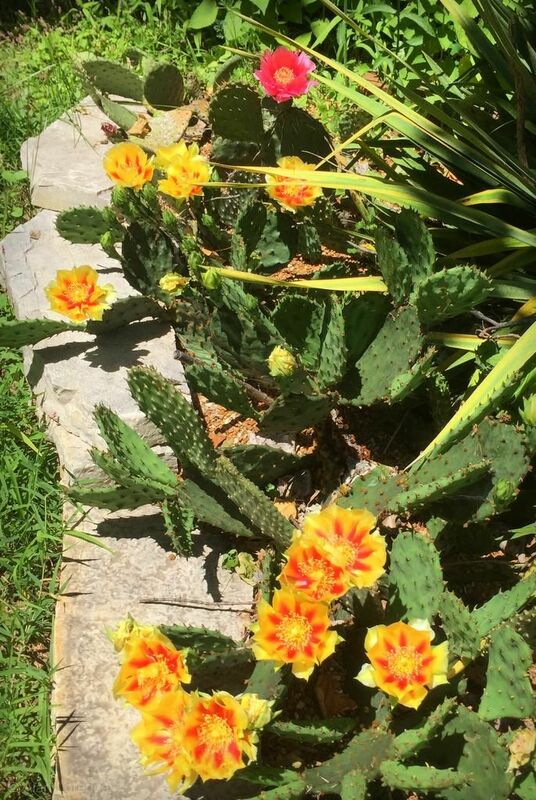 Thanks for all of the comments -- everybody loves cactus blooms it seems! I saw one or two fruits last year, so we'll see. 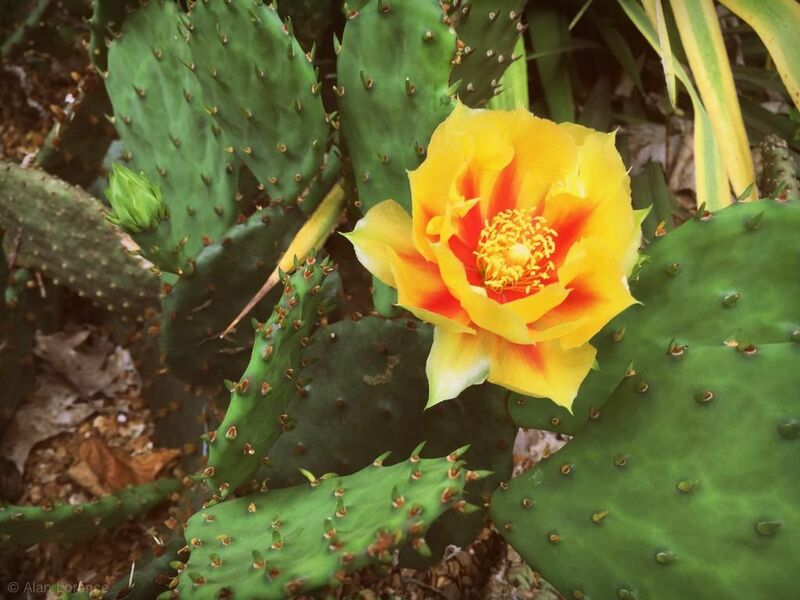 That Opuntia macrorhiza flower is really beautiful. I love the red markings. 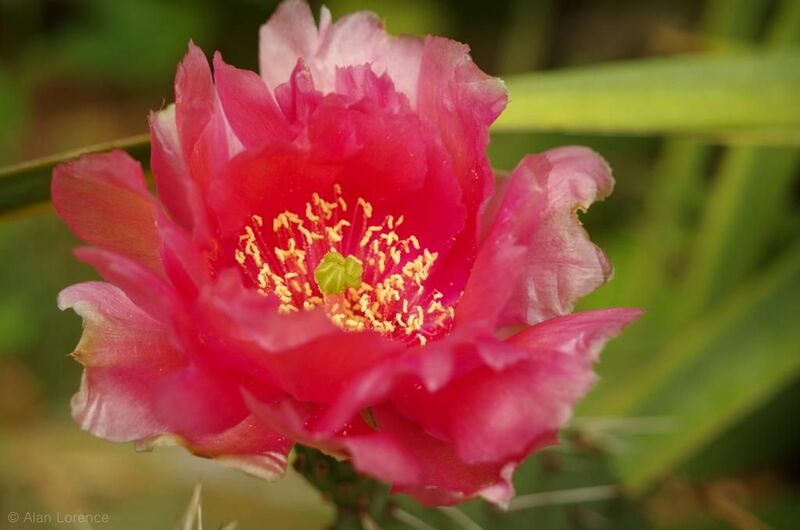 And as far as cactus flowers go, opuntia flowers are actually quite long-lasting (relatively speaking).